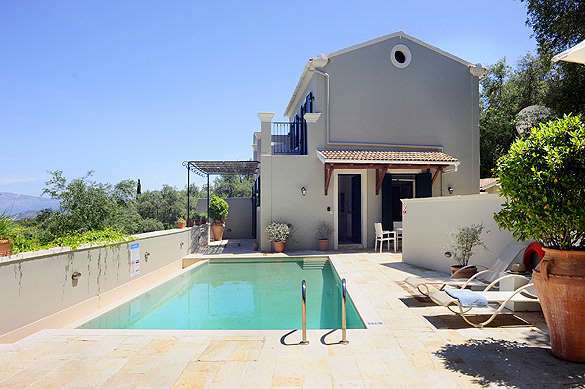 Located in a quiet area a short distance from Kassiopi, Villa Fedra offers beautiful views over lush olive groves towards the sea and the Albanian mountains in the distance. 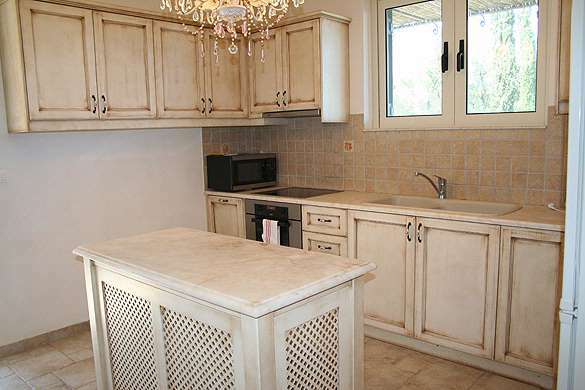 It is an ideal choice for families who wish for peaceful relaxation but with the added convenience of the amenities of Kassiopi being close by. 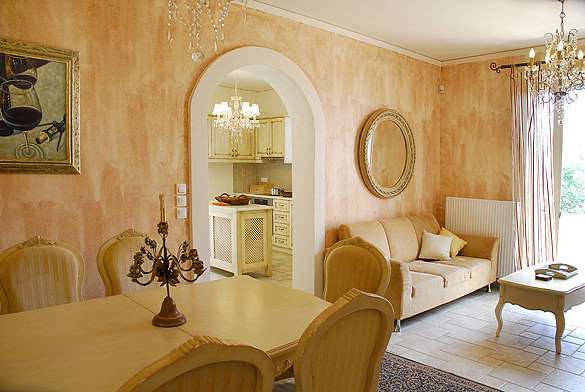 Adjacent to Villa Sonja, with adjoining walls offering a reasonable degree of privacy, the ground floor of the villa consists of an open plan lounge/dining area with attractive, ornamental fireplace. A DVD player is supplied and the television offers only free to air channels. 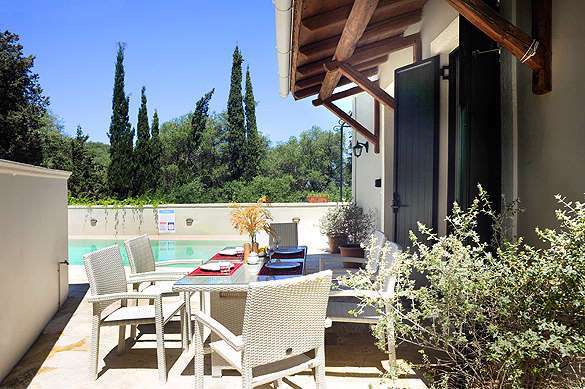 A fully equipped, modern kitchen has an entrance leading directly onto the pool area, with quick and easy access to the barbecue area located at the back of the property. Also situated on the ground floor is a twin room with private bathroom as well as a small cloakroom, equipped with washing machine, ironing board and iron. The top floor is accessed via a stairway leading from the lounge area. This area consists of one twin room and one double room. 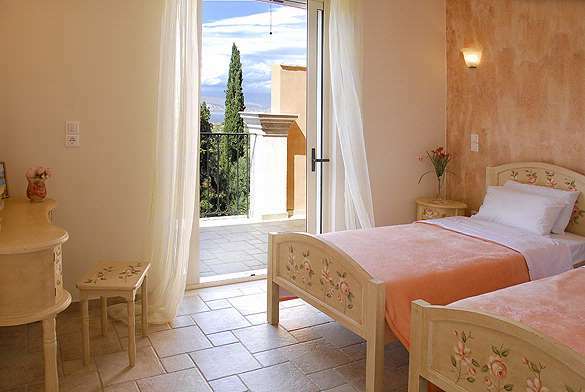 Both have private bathrooms and balconies with sea views and the double room has partial view of the pool area. 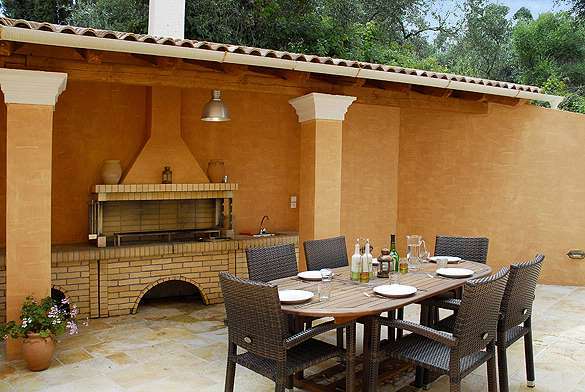 Sunbeds and outdoor furniture is provided for al fresco dining and entertaining.